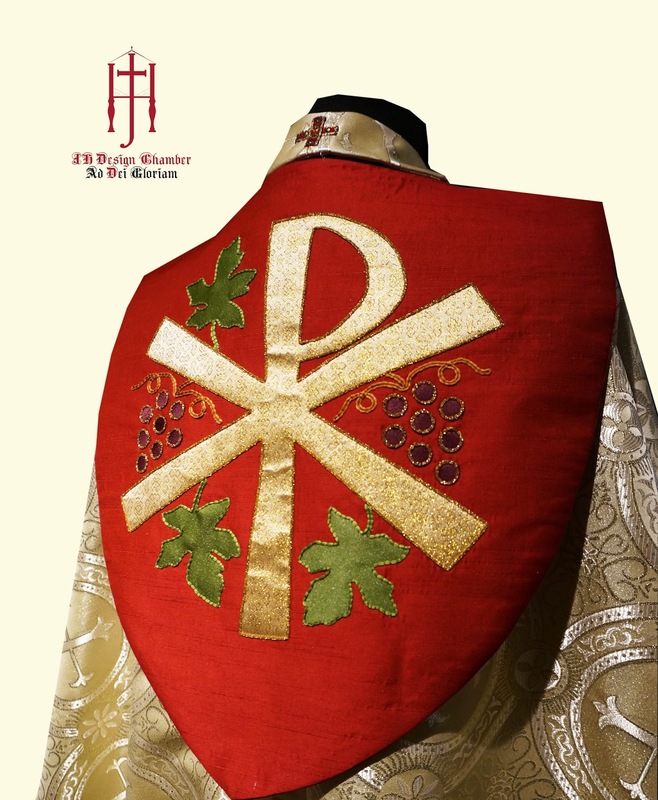 A handmade cope made for the Church of St George Penang. The embroidery are made from various method such as applique, chain stitch, french knot and satin stitches. 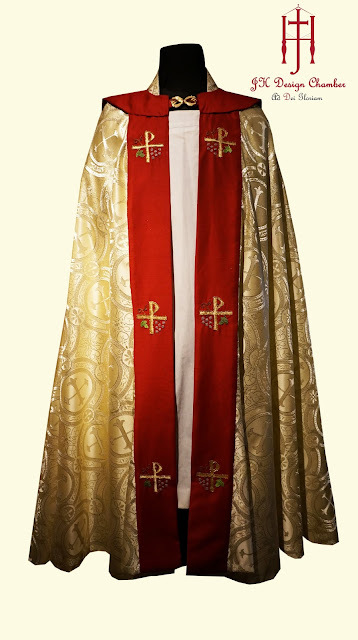 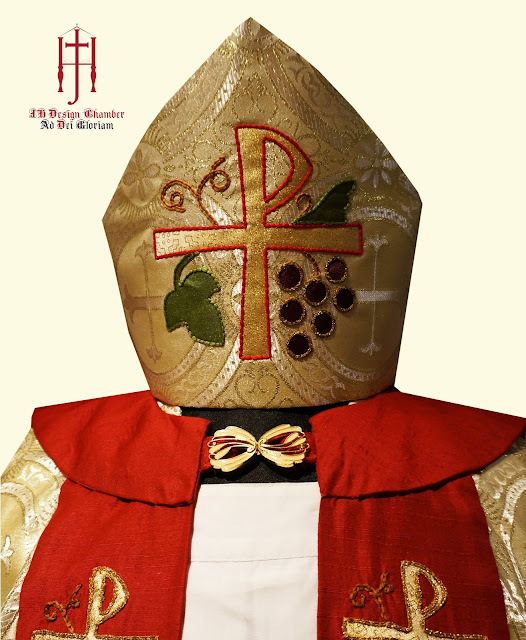 A matching design mitre is made for the cope.